Gold Star Fencing has been serving Penticton, Okanagan Falls, Oliver and Osoyoos in the Southern Okanagan / Similkameen area of BC since 1999. With customer service and satisfaction as our number one goal, we deliver a wide variety of fencing services and products to residential, commercial and industrial clients, as well as provide fencing installations and repair for recreational facilities. With extensive industry know-how and proven craftsmanship, we provide high quality fencing installations, removals, fence relocations and fence repairs to meet and exceed your expectations. 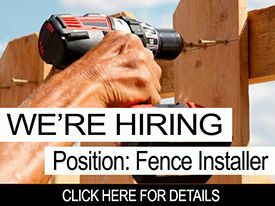 Our customers say we are the best fence company in Penticton! 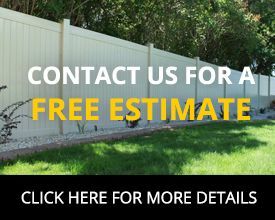 We also carry a wide variety of the most popular and highest quality fence types, from chain link, Vinyl / PVC fences, ornamental fences and wood fences to automatic gates, dog runs /kennels, temporary fences, construction fencing and more. For a full list of products, please click here, or simply give us a call to discuss your project with us, as we more than likely can help you with your fencing needs.